Goldfish Game was selected for the New Territories (Nuovi Territori) category at the Venice Film Festival. In this category the jury focused primarily on highly innovative films with an emphasis on experiment, new technology and new styles that already herald tomorrow’s visual culture. Goldfish Game was selected for the ‘International Human Rights Film and Video Festival Buenos Aires’ festival in 2002, the Ghent film festival in 2002, the Solothurn FilmFestival in Switserland in 2003 and the Rehoboth Beach Film Festival 2004. 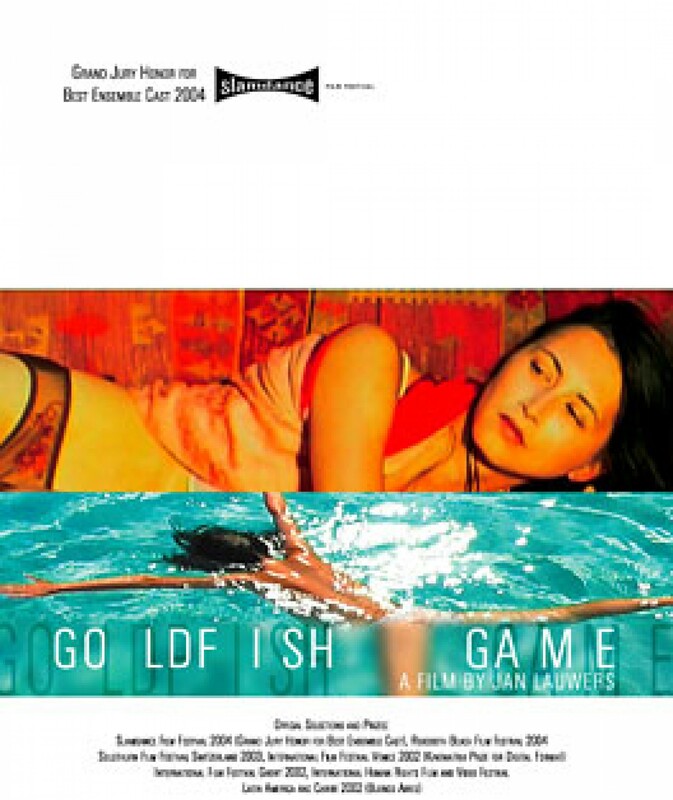 At the Slamdance Film Festival (January 2004) Goldfish Game was awarded the ‘Grand Jury Honour for Best Ensemble Cast’. Original version: English. Subtitles: Dutch, French, Italian, Chinese.